Medical device manufacturing is a highly regulated and exacting field. The most important feature of any medical device is that it provides for the patient’s wellbeing. Therefore, medical devices must be safe, accurate and reliable. Nearly every aspect of a medical device manufacture is regulated, including labeling, distribution, and importation. Regulations cover not only the medical device itself, but individual components as well. If any component of a medical device is not of the highest quality, it may adversely affect patient care and result in approval delays, loss of public faith in the medical device manufacturer and fines. Choosing a supplier to manufacture products such as membranes, die cut vents and porex chromatography frits is analogous to entering into a vital partnership. As an inventor or medical device manufacturer, you must seek a supply partner who can not only create precision components to your specifications, but can maintain consistently high quality. Fortunately, there are distinct traits to seek in a supply partner, including a robust quality management system, rapid prototyping and state of the art manufacturing capabilities, all indicative of a supplier who can consistently deliver high-quality components and adjust to your changing requirements. A quality management system is an essential feature to seek in a supply partner of precision medical device components. A quality management system indicates that a supplier’s business and manufacturing capabilities are geared towards manufacturing components which are of consistently high quality. In medical device manufacturing, this is certified by ISO 13485 which demonstrates that a supplier has a Quality Management System designed specifically for the manufacturer of medical device components. 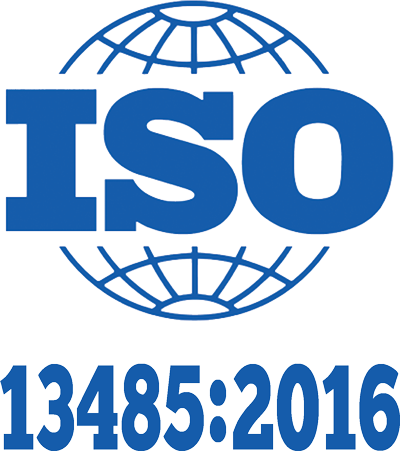 ISO 13485 indicates that your supplier has the document control, internal review and quality assurance practices in place to ensure consistent, high-quality production, in conformance with government regulations. ISO 13485 received an update in 2016, so it is important to seek a supplier who has updated their practices to meet the new requirements. A supply partner should also be capable of in house prototyping to quickly assess and adjust to design changes. Medical device design and manufacturing is often an iterative process requiring frequent design changes until the optimal configuration is attained. A strong manufacturing partner can quickly create a working prototype and adjust production accordingly to meet new design requirements. Medical devices and their components must be manufactured under sterile conditions. Therefore, a manufacturer of medical device components must utilize clean practices and possess certified clean room manufacturing capabilities, to ensure that components are limited of all contaminants and safe for patient use. Interstate Specialty Products (ISP) located in Sutton Massachusetts, has been in business since 1963, manufacturing precision components for clients in a variety of fields including medical devices, scientific and industrial equipment, filtration and electronics. ISP specializes in Precision Die Cutting, Digital Knife Cutting and Rotary Die Cutting. ISP engineers are also experts in a variety of fields including mechanical engineering, manufacturing, process, and quality engineering. ISP also specializes in rapid prototyping which allows ISP to quickly design and prototypes in accordance with your changing requirements. 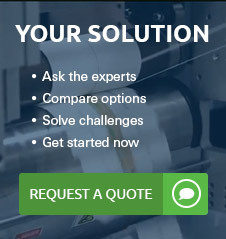 ISP engineers operate as an extension of your team to identify issues before they affect manufacturability, refine material selection and develop custom production lines. One other feature which sets ISP apart from our competitors is discretion. Medical device manufacturing and invention is a very competitive field. ISP can work directly from specifications and component drawings without the need for full design specifications, thereby protecting your intellectual property. ISP is also ISO 13485:2016 and ISO 9001 certified to ensure consistently high quality. 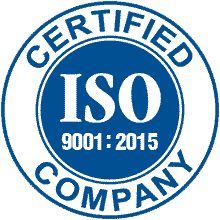 In addition, ISP also utilizes ISO 8 certified cleanroom facilities to ensure that medical device components are manufactured under the most sanitary conditions. To learn more about Interstate Specialty Products and to discuss your requirements, contact ISP by email at SALES@INTERSTATESP.COM or call (800) 984-1811.